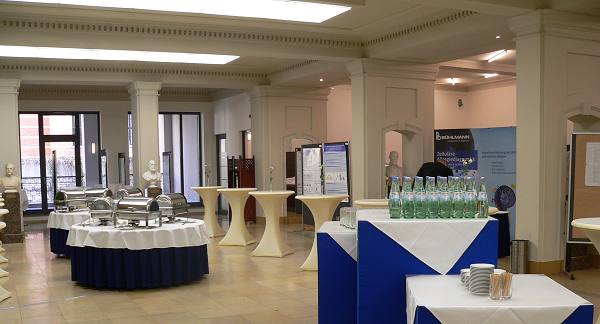 If you plan a congress, conference, seminar or meeting we will manage it for you and make a success of your event. We also coordinate campaigns, with the focus on the organisation of related events. We can provide you full-service-management or an individual solution for following areas. Contact us, we will be pleased to find the optimal solution for you. We plan and schedule your event, develop a budget plan, research and reserve locations and hotels for you and organize catering and social program. We guarantee you a smooth and successful course, coordinate and support sponsors and exhibitors, handle abstracts and apply for certifications. We handle registrations, take care of VIPs and speakers, organise transfer-services and are the first counterpart onsite for you and your attendees onsite. We lead the internal and external communication, develop an official event website and e-mail account, take care of the public relations and of the designing, printing and shipping of programs and inserts. Parallel to a constant cost control and actualisation of the budgetplan we handle the reimbursement of expenses and take care of the final settlement. We will take care also of the postprecessing procedures, such as reworking, final settlement, evaluation and analysis.